Does a wedding reception conjure up images of large white tents and crowded dance floors to you? And maybe that's really not a look or mood you're after. You'd like a reception that's more intimate, less mainstream, more colorful. You're not keen on inviting a load of people either - you'd rather have a select chosen few who mean a lot to you than a party for acquaintances and long-lost relatives. In which case, step away from the crowd and create your own beautiful theme for your guests. If you hold a smaller wedding reception then you can go all out and really invest in the little details that add up to create a big picture. When your guest list is small, you only need one or two tables to accommodate the entire party. You will be able to splurge on those rare violets from the florist, or a five course tasting from the caterer. You can spend on those small luxurious details to create a party to remember, rather than trying to cut corners because you're worried about your budget. You could have better quality wine, champagne and some knockout cocktails. Your wedding cake can be small and perfect. You'll also find it easier to find a venue - a beautiful room in a jewel of a restaurant maybe. But if you fancy an outdoor reception then you'll like this rustic-inspired feast in the forest, for those who are leaning more towards a quaint dinner party reception. From the vibrant moss to the bountiful blooms, this is a fairytale setting with some magical colors. Terrariums are a beautiful DIY wedding project to hang above the table to add to the rustic flair. Try an alternative cake that's light on the icing and plays up the "naked" trend to make it feel authentic. Any DIY ideas incorporating tree branches are a must in a forest setting. We love the idea of incorporating twigs into the vases at your table arrangements or as a napkin ring at the place settings! Vendors featured in this styled shoot include: Pure Elegance Events, Daisy Saulls Photography, Bergerons Flowers, Fluffy Thoughts Cakes, The Woodend Sanctuary, Roxy Heart Vintage, Felicia Renee Beauty, Fabulous Frocks of Alexandria. 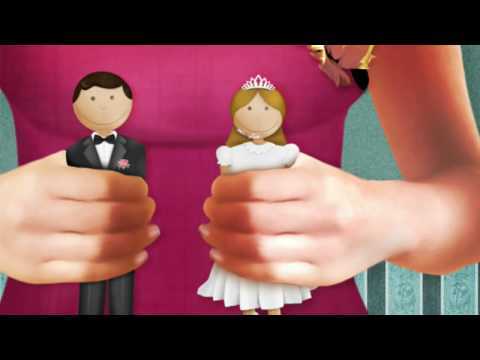 Wedding Insurance: Should You Get It? Transform your wedding reception into a blossom filled forest.